Bigfoot and a perfect married life are very similar to each other, in the sense that people search for them all their life but don't find them. 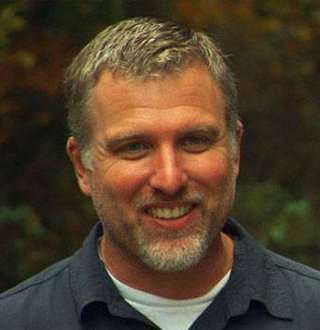 The story goes a little different for American animal researcher, Cliff Barackman, whose search of the former is still ongoing but that of the latter is over, as he has found a perfect wife for him. The California-native is a renowned animal researcher, thanks to his role in the Animal Planet series, Finding Bigfoot, about the most famous mythical creature of North America. Apart from being an animal researcher, Cliff is also an ardent musician and can be found performing in Portland, Oregon. Born on 28 November 1970, in Long Beach California, Cliff had a keen interest in science and music. In his college life, he studied various subjects in science but eventually graduated with a degree in Jazz Guitar. However, eventually, Cliff decided to pursue his career in biological research. While Cliff hasn’t abandoned his love for music, his main profession has been as a scientific researcher. Like any North American, Cliff was fascinated by the idea of Bigfoot when he was of a very young age. The curiosity slowly became an obsession and finding Sasquatch became his life project. He has spent over two decades searching for the evidence of the existence of the mythical creature. His dedication for Bigfoot brought him the role in Animal Planet’s series, Finding Bigfoot. Now, what he was doing off camera could do all that on camera, and increase his net worth as well. Although, the exact sum of his net worth is not known. Related: Coyote Peterson Wiki: Behind Adventure, Who Is Wife Of Wilderness Star? While Cliff is still searching for the Sasquatch of the wild, he already seems to have found the Sasquatch of his life. He is married to a beautiful wife Melissa Barackman, a makeup artist who has worked for the Animal Planet as well. It is not known how long was Mellisa his girlfriend but she became his wife on 24 June 2017, when they married in a very non-traditional wedding; where the wife-to-be wasn’t even wearing white. But she didn’t need to, as long as she wore the love for him. The Bigfoot in the wild may or may not be real, and the life's research of American animal researcher, Cliff Barackman, on the mythical creature might be futile, but he found the Bigfoot of his life.